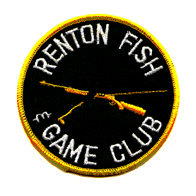 For general information about the club and it&apos;s day to day operations, including the most up to date information about events, schedule, and range closures, contact the Rangemaster at 425-226-1563 or rangemaster@rfgc.org. To contact the board of directors, please email the club president (Sam Hewlett) at board@rfgc.org. To contact the us about the website, please email the webmaster (Chuck Mueller) at webmaster@rfgc.org. Suggestions, ideas, and feedback are welcome. Don&apos;t forget to check us out on Facebook!